Naruto chapter 643 is the next most anticipated chapter in Naruto manga series. 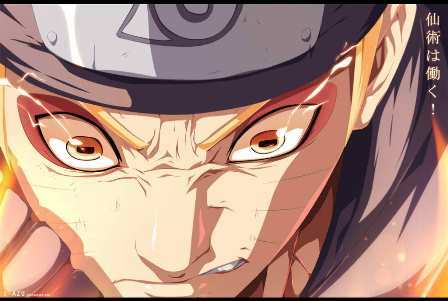 A lot of Naruto manga readers are asking when is the release date of Naruto chapter 643, or if it is delayed for a week? The answer is (unfortunately) yes. There will be no shonen jump or Naruto 643 this week because there is a festival in Japan. Most probably the next chapter will be released by Tuesday or Wednesday next week, third week of August. While waiting for the next chapter to be released, let’s discuss what happened during the previous chapter and what are we going to expect on Naruto 643. On the previous chapter, Obito seemed to become an all powerful being, similar to the Rikudou Sennin (Six Sage of Paths), father of ninjutso. They tried various attacks and combinations, but it didn’t work on Obito. Meanwhile, Gamakichi attacked Obito before the Kuchiyose disappeared. It was just a random straight forward attack that Gamakichi wanted to try before he vanished. I’m not sure if the toad realized it sooner but I think he did. Even though the attack did not damaged Obito, it gave Naruto an idea. Naruto made a surprise attack on Obito with the help of Tobimaru. At last, Naruto was able to hit Obito with Senjutsu! Perhaps there is a difference in the type of power that Obito is using, and it does not include Senjutsu in his list. Senjutsu is relatively different as explained when Jiraiya was just teaching Naruto on how to use it way back in the previous chapters. Senjutsu could be their only chance to defeat Obito! Can’t wait for Naruto chapter 643 to be released. The next chapter is definitely a must read. The power balance is even now.